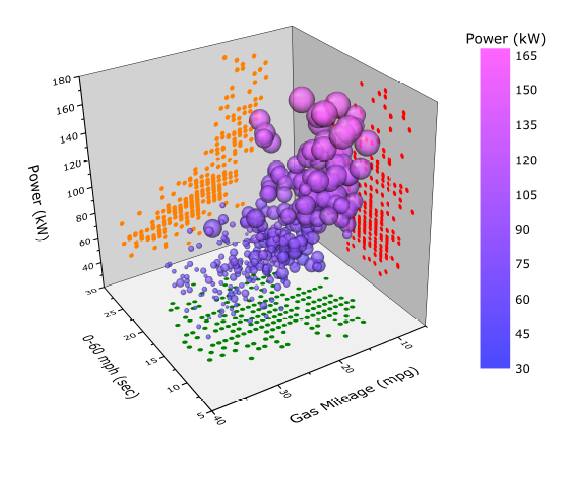 This graph shows a 3D scatter plot of automobile performance. The scatter size is proportional to Engine Displacement. The colormap based on Z value (Power) is used and transparency is introduced in the scatters. Also projections on all three axis planes have been enabled.